Traditionally, the staple of the Japanese diet is rice – they eat it morning, lunch and dinner. 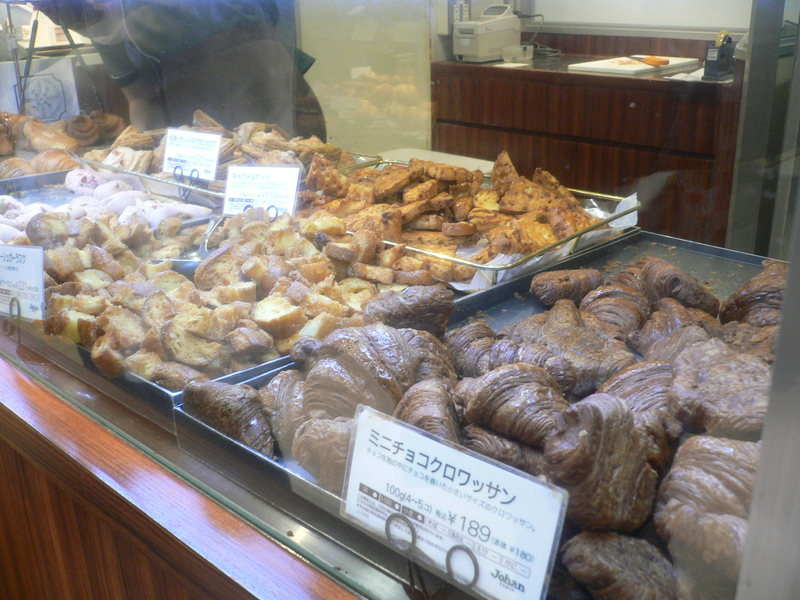 But with the popularity and influence of the French, the breads and pastries coming out of some Japanese bakeries are so creative and scrumptious you wonder how do they come with this stuff! Whenever I can, especially when I’m in a “depachika”, I’ll pop into a bakery and take look and “sniff” to see what’s baking. And it really is a feast for the eyes – the Japanese are all about esthetics and each loaf of bread, baguette, pastry and baumkuchen (a German tree cake) is perfection. And the flavours, very seasonal and unique to the Japanese culture – sakura, yomogi (edible greens), green tea (macha), chestnut and strawberry. Check out some of the goodness I got to savour! 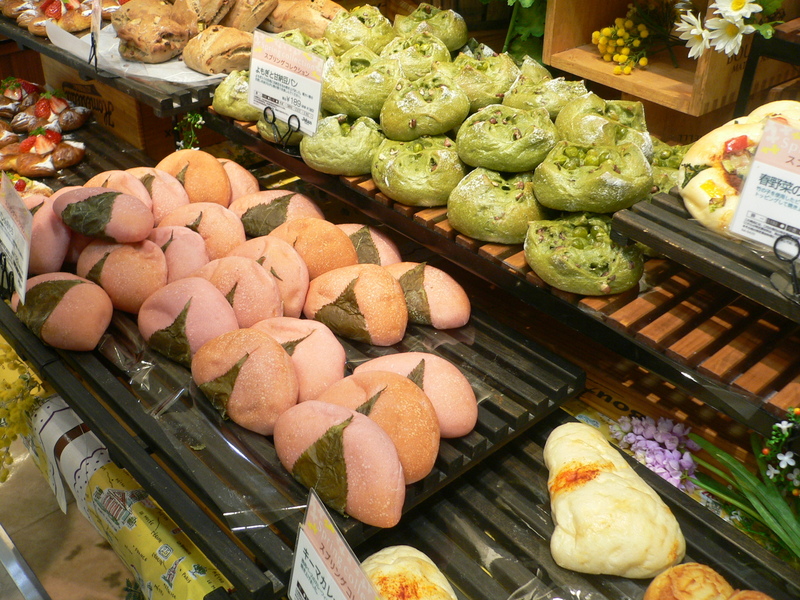 Sakura and yomogi flavoured buns. 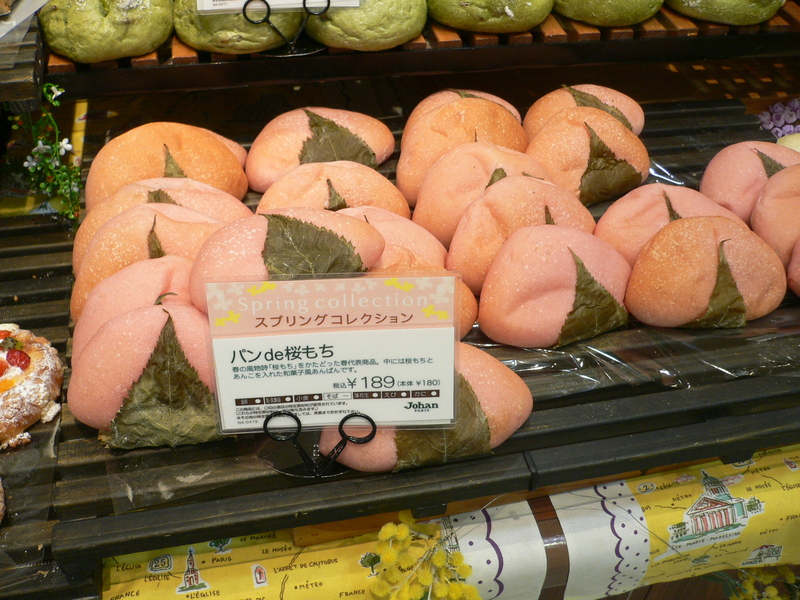 A close up of Sakura flavoured buns. 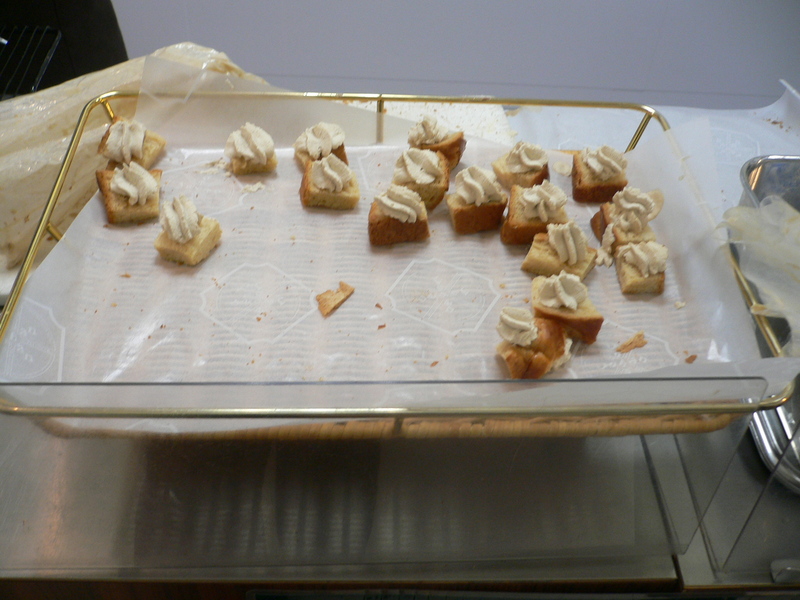 Toasted brioche with chestnut cream. 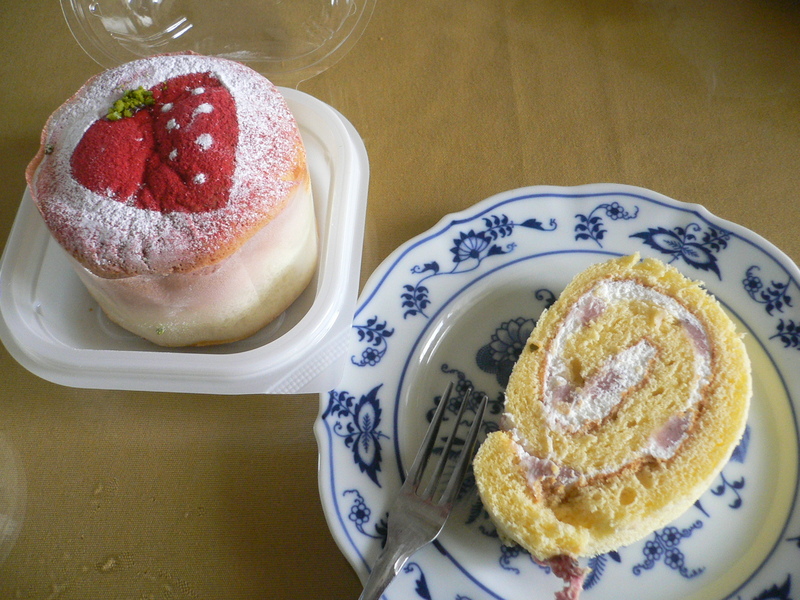 Strawberry decorated souffle-type bread and sakura cream roll cake. 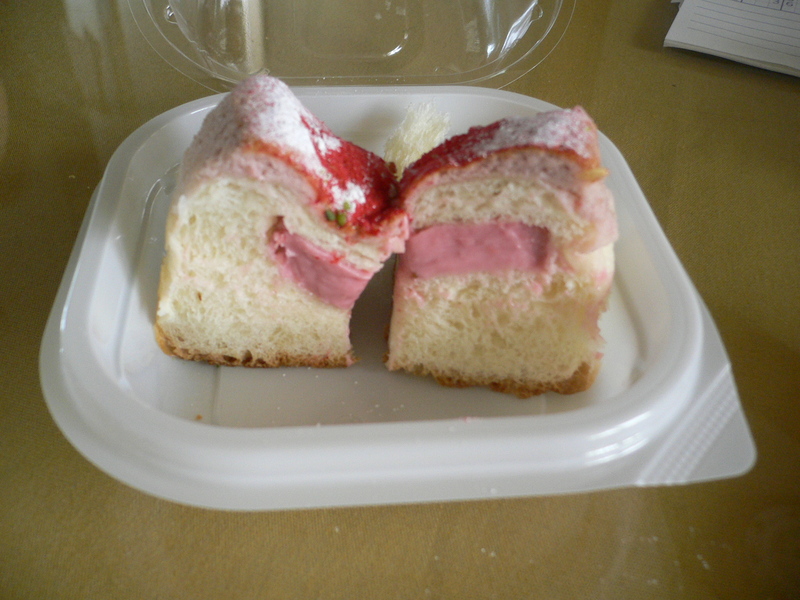 Look what’s inside – Strawberry cream. 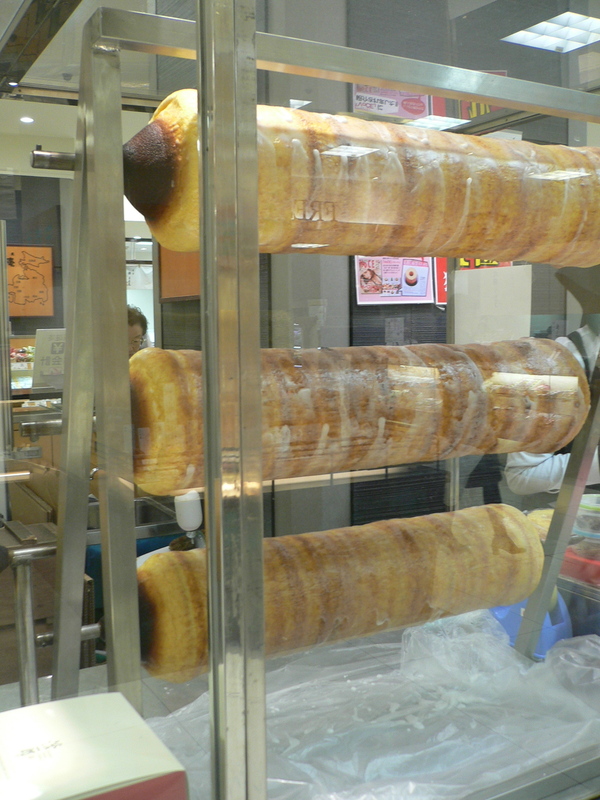 Baumkuchen baking on a spit. 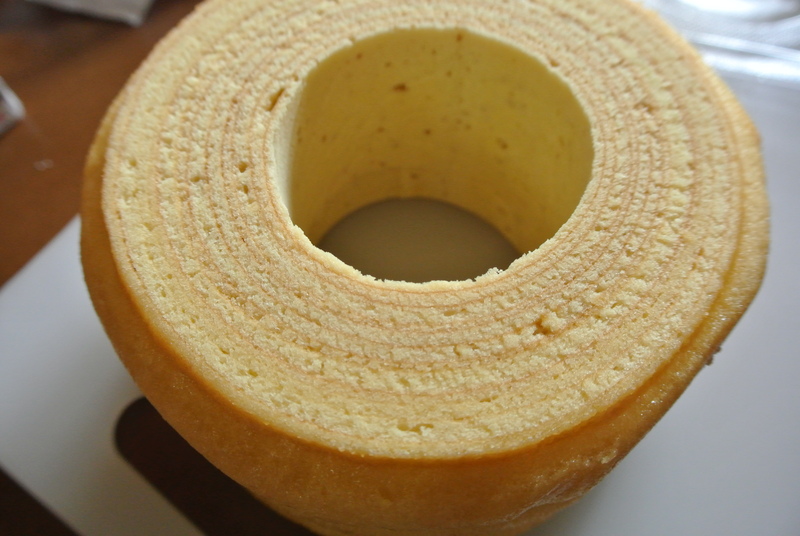 Baumkuchen – a very popular German dessert in Japan!